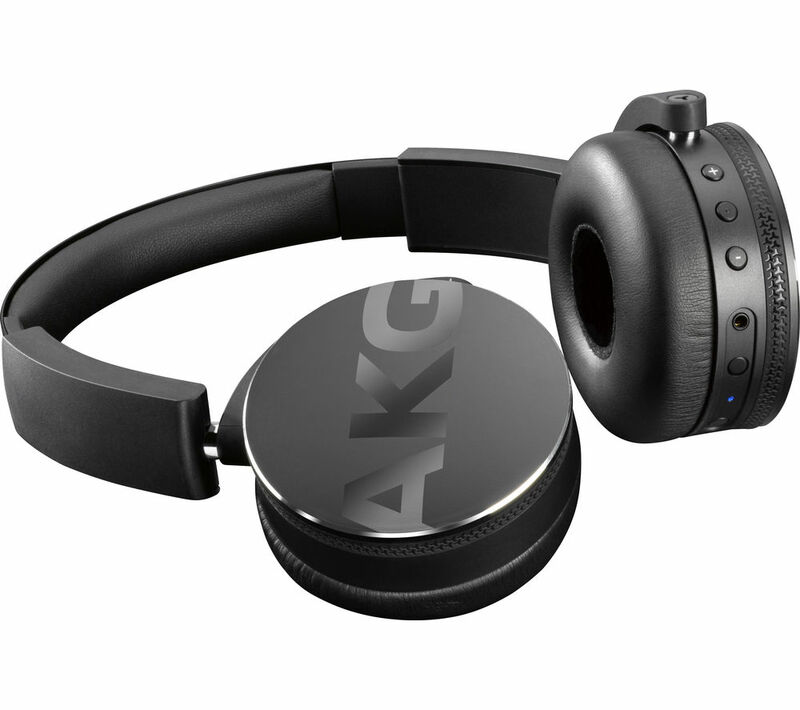 Overview & specs of Akg Y50BT Wireless Bluetooth Headphones by Currys PC World. Top features: - Wireless Bluetooth for cable-free music wherever you go - More than 20 hours of battery life between charges - 3D-Axis folding mechanism for easy storage and transportWireless Bluetooth The Y50BT feature Bluetooth technology, enabling you to enjoy your favourite music wherever you go without being tethered to your smartphone.Making use of ear-cup mounted controls, you can operate the built-in remote and volume controls to adjust your music, while a built-in microphone allows you to answer calls hands-free.20 hours of battery lifeBy using the included USB charging cable, you can charge the Y50BT in just a few hours to enjoy over 20 hours of quality wireless music playback. This means that you can go for longer before needing to think about recharging the headphones. With the included 1.2 m cable you can continue to enjoy your music using the headphones even if the battery runs out.3D-Axis folding mechanismTransporting and storing the Y50BT is simple thanks to its 3D-Axis folding mechanism. This allows it to fit neatly into the compact, protected carrying pouch to keep them safe when you're not using them. The headphones are comfortable to wear for extended periods of time thanks to their lightweight construction. Passive-noise isolating helps to reduce distracting noises, allowing you to immerse yourself in the audio experience. We are comparing prices for Akg Y50BT Wireless Bluetooth Headphones in new condition sold by Currys Pc World, Hartleys Direct.